People always ask me what to do to tighten the stomach, expecting me to list off some of my favorite exercises. The truth is, there is a lot more that goes into flatting a tummy. It’s not just about exercise. It’s about what you do all day. This is a selfie of me I privately text Steve on my final weigh-in for the Daytona competition. I’ll be honest. When I was training to compete, I really didn’t change my workout that much. The biggest change was my diet and my cardio. I actually felt a little guilty because I saw other people killing themselves in the gym, training longer, doing longer cardio, doing more workouts and training more abs than me. However, my diet was spot on and I was consistently losing 2lbs of fat a week like clockwork. With every pound I lost, I saw more and more abs. We all have abs, we just can’t always see them because they are covered up with body fat. You may not want a six-pack. Most women don’t. Most women just want to tone up. You may just want a flat stomach. Or, maybe you want to have a flat stomach with just a couple of vertical lines so you have that fit look. Whatever your goal is, the answer is the same. What you get just determines on what you do and where you stop. For instance, if you don’t want to be super 6-pack lean, you would slow your dieting down when you start seeing the physique you are shooting for. Super ripped women are normally not doing much different than women who are trying to lose 20lbs to get to 20% body fat – they just don’t stop at the 20lb mark and the keep dieting until they reach the body fat they want. For me, that is normally 16-18% (where I like to stay), 13-15% for photos and 10% for competition. 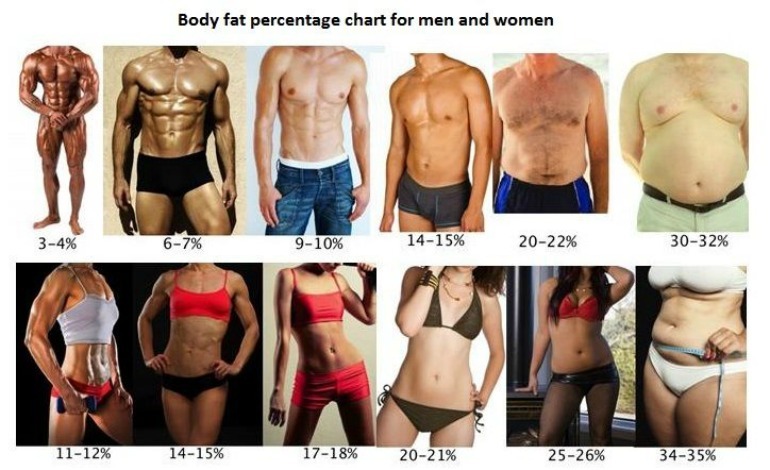 Here is a really cool graphic I found that shows various body fat percentages. Realize, body fat is relative. It’s a percentage. Your body fat percentage can drop even if you don’t lose one pound of fat if you simply gain more muscle. This is why people can look so different even at the same body fat percentage. Personally, we go off of pounds of fat and pounds of muscle using the inbody machine. Anyway, with that said, this is a pretty cool visual on what body fat percentages can look like. Here are my top tips for a tight tum! Straighten up. One reason we battle the bulge is because we are lazy. We don’t maintain good posture and hold our stomach in like we should. Laziness causes us to lose our resting tone in our abdominal muscles, allowing our gut to stretch out the abdominal wall. We can increase muscle tone simply by keeping our tummy tight and standing up tall. Don’t overeat. I’m not just saying that because overeating makes you fat. When we eat large meals our stomach increases in size, pushing out against our abdominal muscles. It’s a lot easier to maintain a smaller, tighter waistline by simply eating smaller portions. Do the work. If you think it’s too late to get a six-pack, think again. Look at all the women who retrain their ab muscles after pregnancy. The same can happen to a beer belly too. 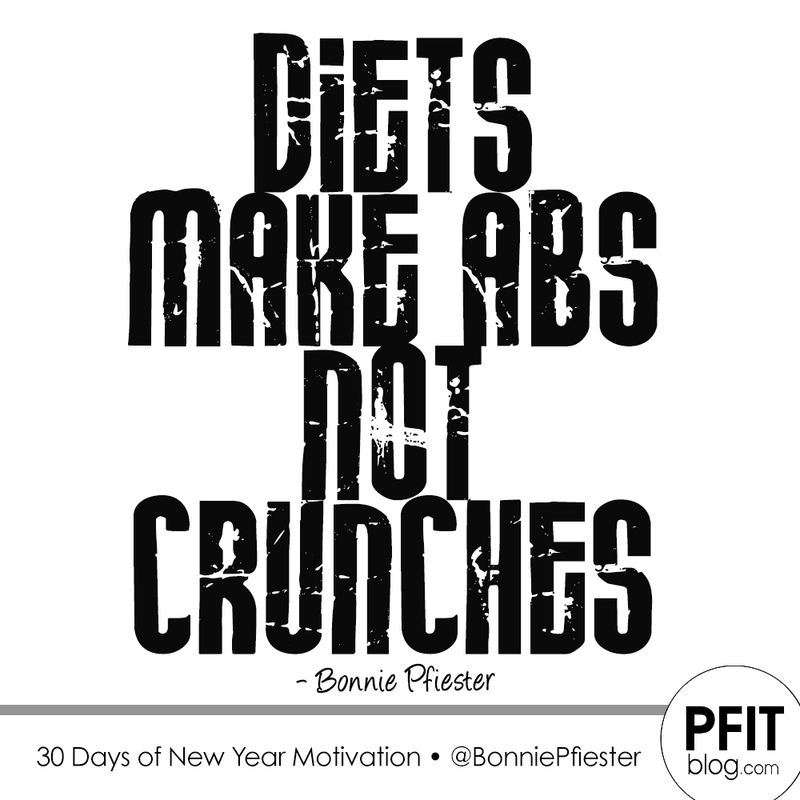 Crunches, sit-ups and plank exercises get great results and don’t require a gym membership or equipment. However, there’s a lot of really great ab equipment that can help you get that 6-pack a little faster like ab benches, weights, ab machines, cable machines, various balls, bars (for toes to bar), an ab wheel, bands and even group exercise classes. Sweat it off. Cardio not only reduces body fat that covers your abs, but some cardio actually works your midsection more than others. Trade the bike for exercises that allow the arms to swing and the upper body to rotate, like running or the elliptical. Aerobics classes, like kickboxing, are also excellent because they incorporate a lot of rotation through the mid-section. Concentrate on the ab area while exercising, maintaining good posture and tight abs throughout the exercise. Don’t fall for the gimmicks. If something looks too good to be true, it probably is. Let’s face it; we can’t get a six-pack in six minutes without changing what we do in the other 1,434 minutes that fill our day. 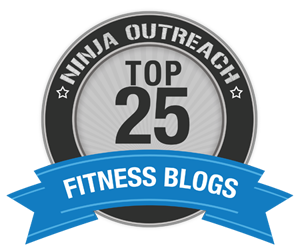 Be sure to subscribe to get my next blog on ab exercises and ab workout programs! Great tips in this article! I downloaded the book and love it. It’s a great review of some basics but really makes a great point why the fundamentals are needed for anyone trying to get in shape. I am loving it. Do you have an in-home “scale” you would recommend for being able to measure body fat percentages? Preferably something accurate, simple to use, and less than $100?